Impress your friends with five fast facts about artist Julie Roberts (b. 1963, Flint, Wales), whose work is in NMWA’s collection. Roberts initially wished to pursue a career in design. She applied to Glasgow School of Art’s MFA course in the Drawing and Painting Department after a one-year postgraduate course in Art and Design at Central Saint Martin’s School of Art and Design. In the 1990s, Roberts alluded to a human presence in her work without rendering the body specifically. 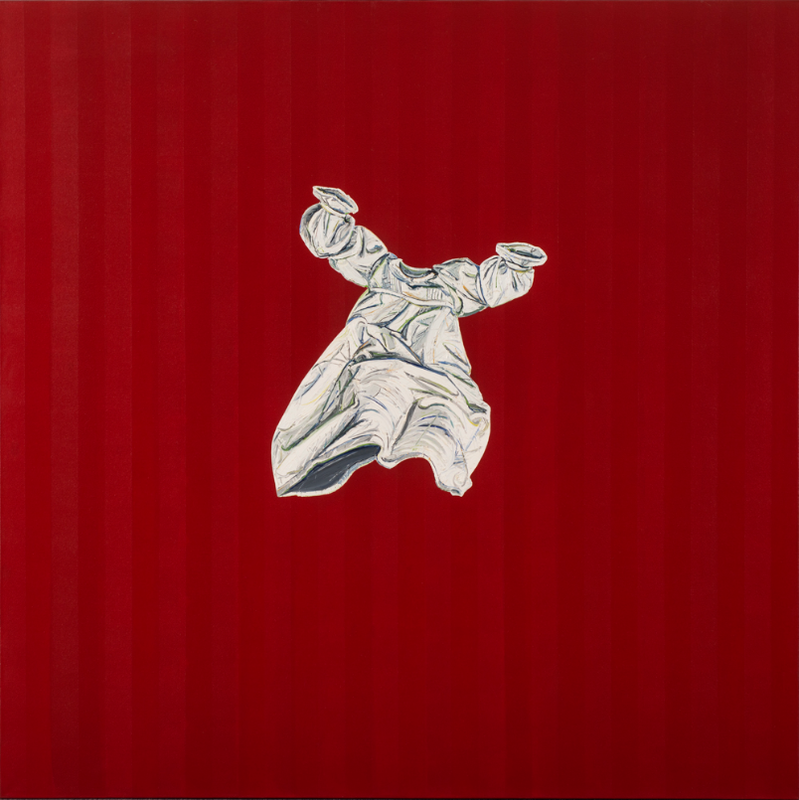 Roberts’s precise portrayal of the garment in Floating Nightgown (1996), together with her handling of line and shadow, evokes the movement and shape of the human form. It was not until later in her career that she began portraying the human body. Roberts created her earliest sketches of medical objects during visits to the Glasgow Royal infirmary while she was pursuing her MFA. Though Roberts spent time sketching medical objects, she created her final images by working from photographs. In more recent paintings, Roberts turned her attention to mid-20th-century children. 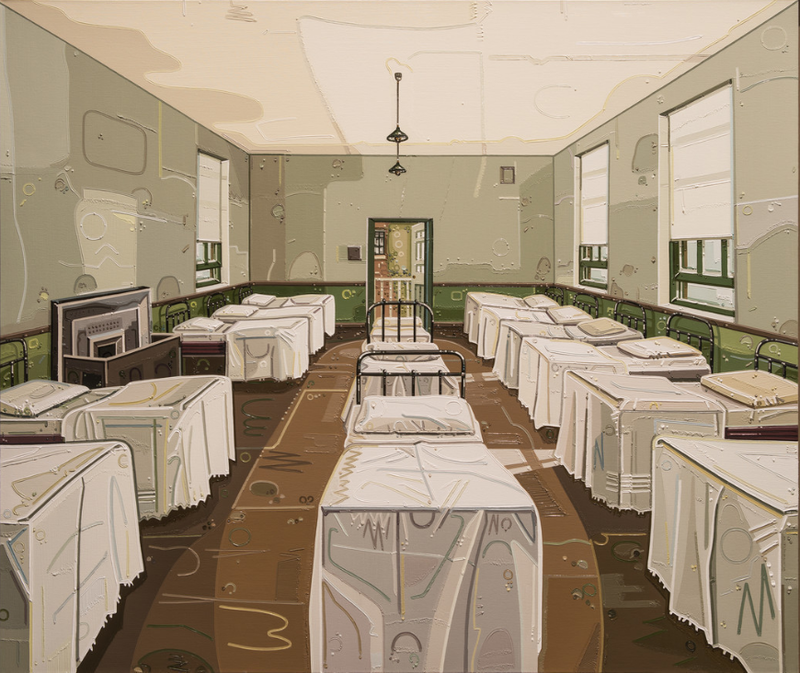 Dormitory (2011) is part of a series that reflects upon the experience of displaced children in Europe. While Roberts conducted extensive research about the post-war period, she also acknowledged that the subject is somewhat autobiographical because she and her siblings spent part of their childhood in foster care and children’s homes. Roberts created a wallpaper featuring sculptor Barbara Hepworth (1903–1975) at work for the group exhibition Painting not Painting at Tate St. Ives in 2003. —Ashley Harris is associate educator at the National Museum of Women in the Arts. This entry was posted in 5 Fast Facts and tagged Julie Roberts by Women in the Arts. Bookmark the permalink.